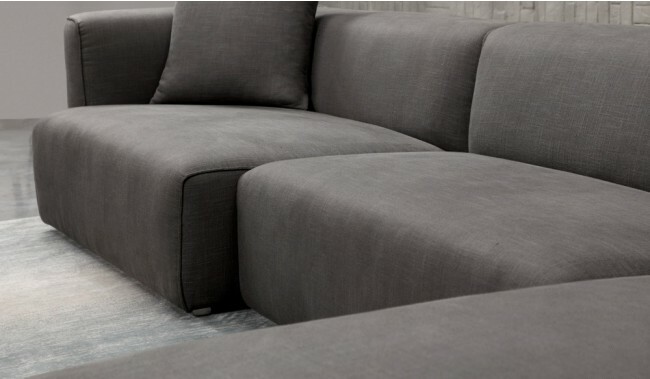 A designer modular sofa with variable depth seating and chaise longue. 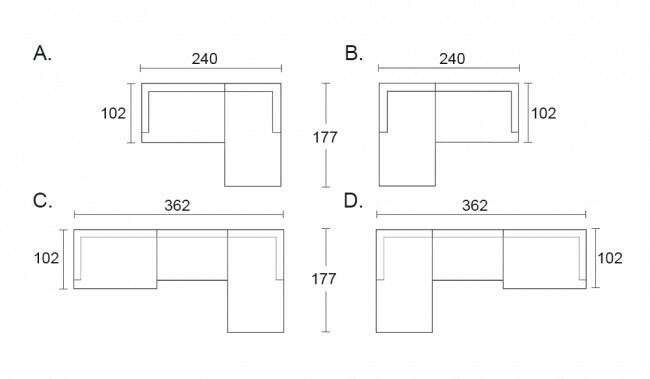 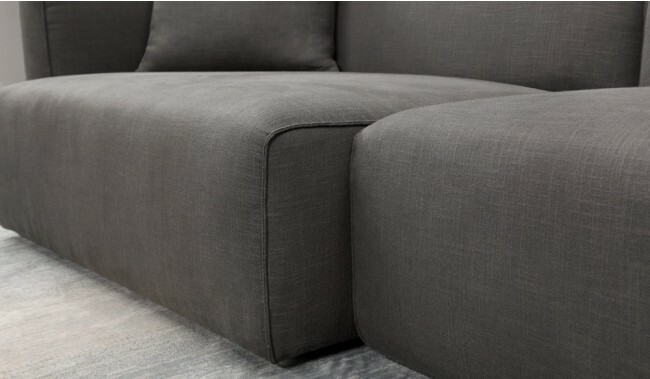 Available at 240 cm width or 362 cm width or longer by request. 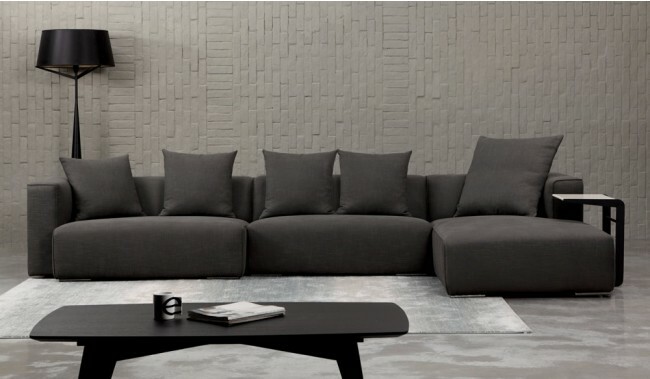 A low modern style of sectional sofa finished in luxury novatex sofa fabric. 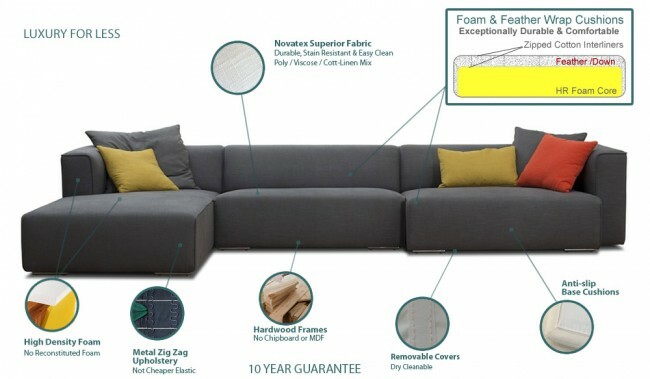 Includes additional scatter cushions as shown, which will come in the same finish as your sofa order, at no extra cost. 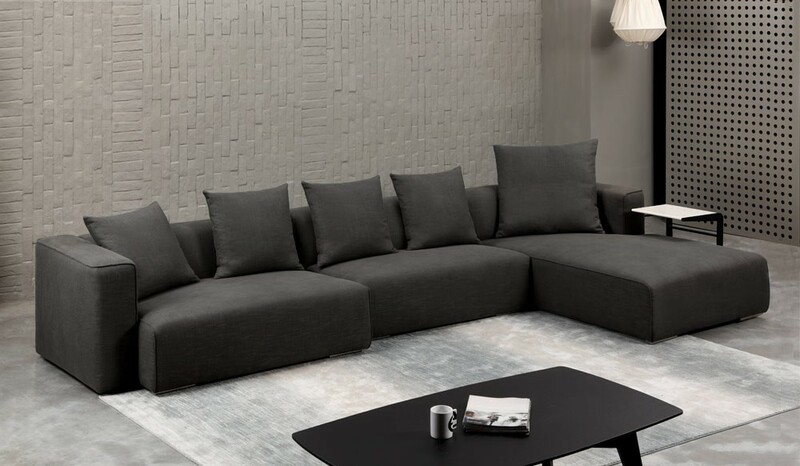 Mixed finish scatter cushions can only be ordered in store * £100, additional charge applies. 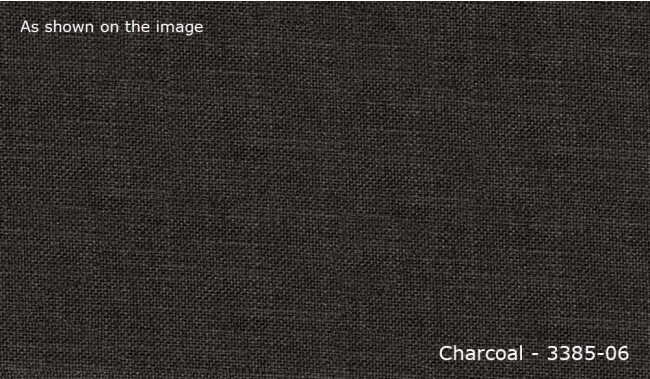 All fabric variations are available to view. 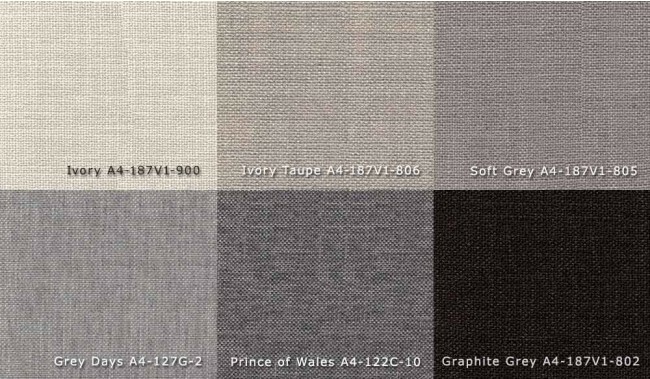 Order in 15 fabric colours. 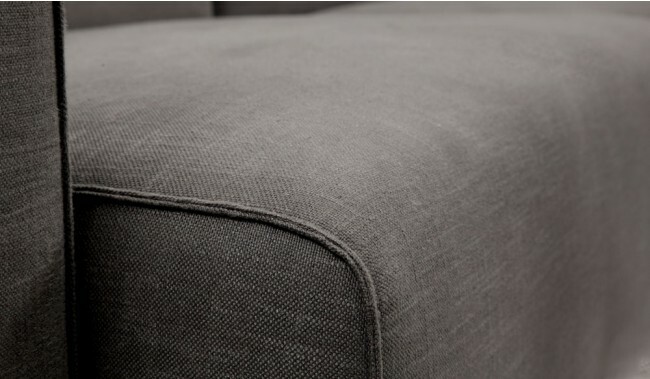 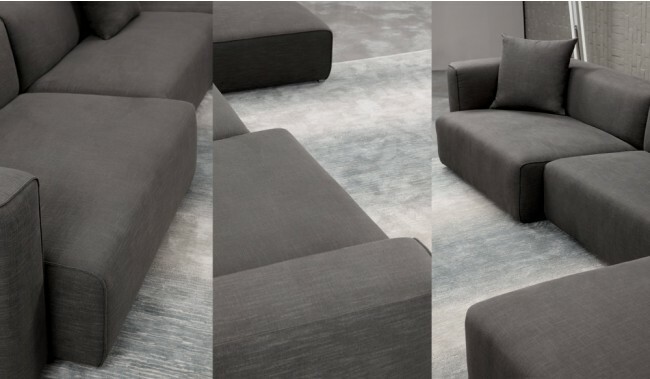 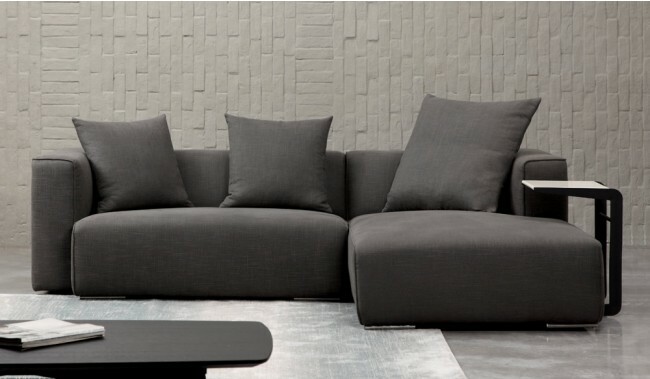 Novatex fabrics are designed specifically to offer superior characteristics for upholstery on sofas such as being easy to clean, highly durability and an everlasting quality. 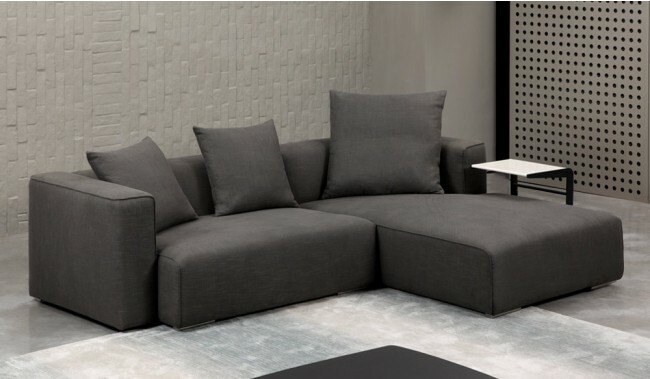 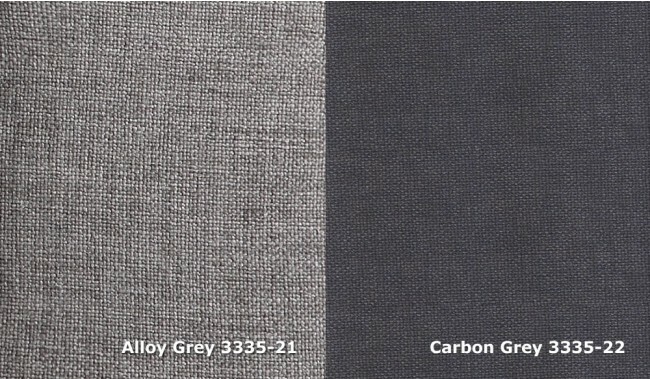 This is achieved by using the latest in fabric manufacturing technology, using blends of fibres such as Poly/Acrylic/Cott/Linen or Poly/Acylic/Nylon and others to achieve superior upholstery fabric materials. 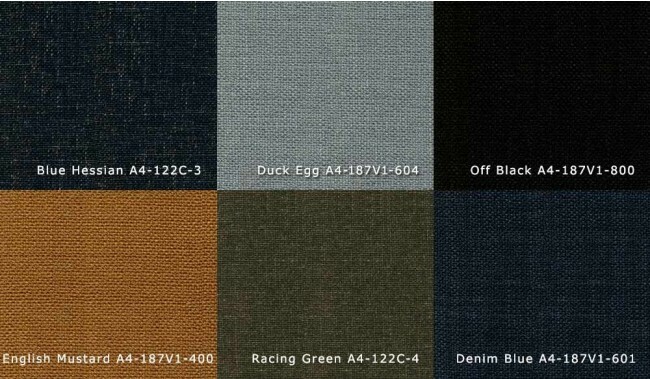 Order in 15 fabric colours. 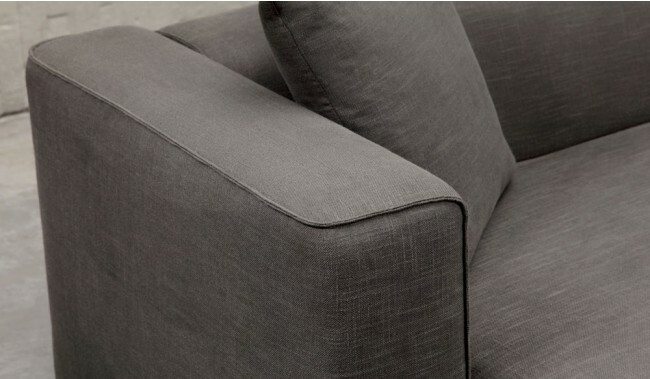 More available in-store.